You are familiar with the KQ Blog and AASL’s Knowledge Quest, but here’s another option for you—American Libraries, the American Library Association’s (ALA) multi-faceted news source. Have you read about Chicago Public Schools’ Sara Sayigh and her students’ protest to save her job? Or, what about the recent story “Linking Students to Libraries” reporting on efforts in Kansas City and Nashville to use public school students’ ID numbers in place of public library cards to access online databases from computers at school or check out books. Both stories were reported in American Libraries. Latest Library Links. Want to know the latest library news now? Monday through Friday, American Libraries editors select and post a “hotline” of the most current news of interest to school, public, and academic librarians. Recently the American Indian Library Association announced its top picture book, middle school book, and young adult novel and included a colorful brochure to download. Also of recent interest to school librarians is the request from the ALA Office for Intellectual Freedom to “defend the freedom to read” by reporting challenges to library materials in 2015 for OIF’s annual Most Frequently Challenged Books list. American Libraries Direct (a.k.a. AL Direct) the twice weekly digital newsletter. Celebrating its 10th anniversary in 2016 as an e-news source for the library world, the eclectic collection of 10-12 quick reading library news stories gives you a scan of the broader library world. A recent story of interest to school librarians reported Scholastic’s withdrawal of the book A Birthday Cake for George Washington. As an ALA/AASL member, subscribe to receive AL Direct twice weekly via email or read its content online. 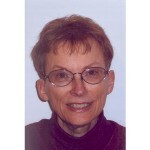 AmericanLibrariesMagazine.org. Six times per year the print edition of ALA’s American Libraries magazine appears in members’ mailboxes, but do you know that anyone can access online and mobile-friendly additional content and professional development every day? Available online 24X7, the newly redesigned website includes many of the magazine’s print articles. For example, check out the Spotlight article written by Tasha Squires, teacher-librarian at O’Neill Middle School (IL), which won the 2015 Follet Challenge. Her school increased voluntary reading participation by more than 60% through using the Conquest of the Realm game. The website is, however, more than a repeat of American Libraries print features. The site also features special online only stories such as the brief interview with Jamie LaRue, new director of the ALA Office for Intellectual Freedom. Two Blogs. The Scoop and E-Content reside on the site, and both feature content of interest to school librarians. The Scoop concentrates on ALA and other library news that is occurring too fast to be included in the magazine. The E-Content blog provides information on such topics as access, copyright, and digital privacy. Two recent Scoop blogs were devoted to reporting school library issues. First, from the AASL Conference in Columbus, Ohio, Laurie Borman wrote about a group of school administrators involved in Project Connect. Of even greater importance to school librarians, the Scoop highlighted the passage of the Every Student Succeeds Act (ESSA) signed by President Obama in December 2015. 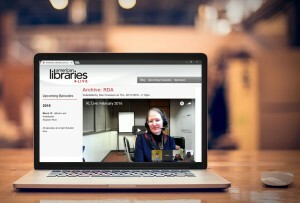 American Libraries Live or AL Live gives school librarians the opportunity to attend free monthly 60-minute streaming video presentations in real time with expert panelists discussing current relevant topics. The hour-long webinars are free because they are usually sponsored by a vendor. If viewed live, there is an opportunity to participate in live chat with the guests via a Google Hangout, chat option, and Twitter. However, since January 2013, presentations are also archived on the ALA Tech Source YouTube channel for on-demand viewing. Recent topics include “Landing the Ideal Library Job” (December 2015) and coming March 10, 2016 at 2 pm Eastern time is “Ebooks and Audiobooks.” Register for upcoming events on the AL Live site. Digital Supplements. 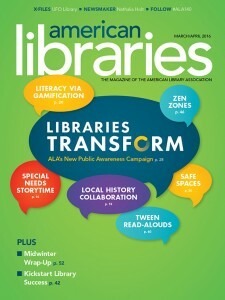 Annually American Libraries produces several supplements such as the “State of America’s Libraries” and others on special topics such as the 2014 School Libraries supplement. The supplements are downloadable as a PDF. ALA JobList. A partnership among American Libraries, the Association of College and Research Libraries (ACRL), and the ALA office of Human Resource Development and Recruitment (HRDR) relaunched its redesigned site in early December 2015. Although the website includes jobs mainly for public, academic, and special librarians, it does provide resources for school librarians such as tips on improving your resume and interviewing skills. One final thing you need to know about American Libraries. Editor Laurie Borman extends a special invitation for school librarians. “As the voice of the profession and the flagship publication of the American Library Association, American Libraries represents all of the membership—all types of libraries and all librarians. We welcome ideas from school librarians for story ideas that resonate with you” (Borman). Borman, Laurie. Email message to author, February 17, 2016. Images: American Libraries images used with permission.